Mobile games are great. But sometimes, you want to play that big, fantastic PC game while you're on the go. It's something you can do easily with the PlayStation and a Vita or the Android Remote Play app with a compatible device. But because PCs are more of a finicky beast due to the wide varieties of hardware configurations, playing them can be a challenge. 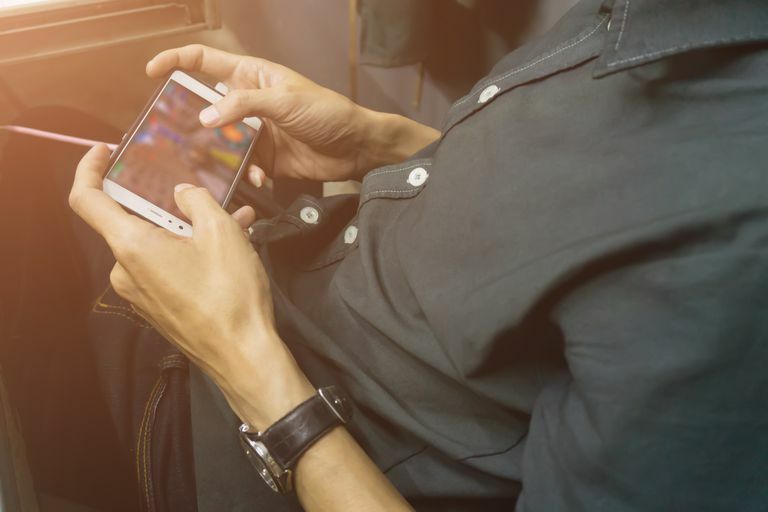 Thankfully, there are ways to do so that take some of the hurdles out of setting it up while still offering you ways to play your favorite big games on the go. Here are some different methods to play PC games on the go on Android. Your router may limit performance. If you have a PC with a Nvidia graphics card and a Nvidia Shield device, GameStream is the first method you should check out. It's supported natively on Shield devices, and boasts full controller support, with the ability to play games locally or over the internet. Some laptops with hybrid graphics solutions might have issues, but if you have a desktop PC and the Shield Tablet, Portable, or Shield TV, then this is the way to go. If you have a Nvidia-powered PC but not a Nvidia Shield device, there is an open implementation of GameStream called Moonlight that you can use. Even if you have GameStream, the support for virtual controls here might be useful. Obviously, a third-party, unofficial solution is going to run into issues because it's an outside implementation. Do not expect the same smoothness or performance that you would get through a normal GameStream device, but given how GameStream is well-regarded as a way to stream PC games, this is a great option if you use Nvidia products on your PC. Some games are free to play. Does not require expensive video cards. Requires high speed internet connection. Another Nvidia Shield-exclusive product, this allows you to stream games much like the old school OnLive technology did. But if you don't have a powerful gaming computer -- or lack one at all. A subscription fee nabs you a selection of games you can stream at your leisure, and the performance is quite good. You can even buy some newer titles outright and get PC keys for them to own permanently, not just on the service, including The Witcher 3. This seems to be the future for big games like this, as you can play them at a tremendous quality, and streaming video compression is becoming less and less of a factor than ever before. Check it out if you have the capability. Menu navigation difficult with mobile devices. If you don't use Nvidia technology, or if you have issues with GameStream, Kinoni's technology works quite well for playing games remotely. What's great about the PC server is that it has a virtual Xbox 360 controller driver that it installs, so you can easily use a gamepad with your Android device on the go and play your favorite PC games without much issue or setup hassle. Otherwise, there are virtual buttons you can set up. The controller can be a bit fussy with normal PC usage, though. This is another great way to stream PC games, but it is a bit trickier to use than KinoConsole. It doesn't have quite the nice interface for browsing games that Kinoni's software does. And using a controller is a bit trickier to handle than KinoConsole's virtual Xbox 360 controller driver. But if you don't mind diving deep, deep into the settings, and messing around with various configurations and setting buttons up yourself, you'll find yourself with a rewarding product that could work quite well. It comes with a demo version and an ad-supported version that you can try before you go for the premium version. Works smoothly with some games. This is another useful tool for remote playing PC games, and its hook is that it features intuitive touch controls, with touchscreen button presets that can let you play if you don't have a controller handy. You can use a gamepad if you want, but this might be the way to go if you don't have a controller or the other methods give you issues. Inexpensive compared to similar apps. Splashtop's remote streaming has been around for a while and focused on low-latency remote computing along with the sound. This makes it great for PC gaming, though you will need the Productivity Pack in-app subscription in order to unlock the gamepad functionality. Still, this has always worked pretty well and without much issue, and it might just be the solution you need to play games from your PC over the internet.